In this space I have talked about wills and inheritances very often but never, as far as I can recall, about gifts. Is it generally a good idea to gift assets in Spain? The answer is also generally no. Why? For one simple reason: taxes. A gift will always be subject to gift tax which is also higher than the inheritance tax. This means that if you gift your property in Spain to your children, they will pay more taxes that what they would have paid should they have inherited this property after your death. This clearly puts off many property owners from gifting their properties in life rather than on a will, and therefore on death. 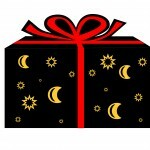 However, this option can still be considered if the recipient of the gift requires the property now rather than later. For instance, if you have a property in Spain that is empty and your daughter has moved to Spain and wants to settle there, gifting the property may prove useful for her. Ok, she will have to pay gift tax but on the other hand she will not have to get a mortgage and buy the property paying high interests to the lender. To summarise, a gift is not always a “no-no”. In some certain cases can prove useful and the high tax payment can be offset by certain advantages of transferring the property now rather than later but careful consideration should be given before embarking in this transaction. Otherwise, it could prove unecesarily costly.